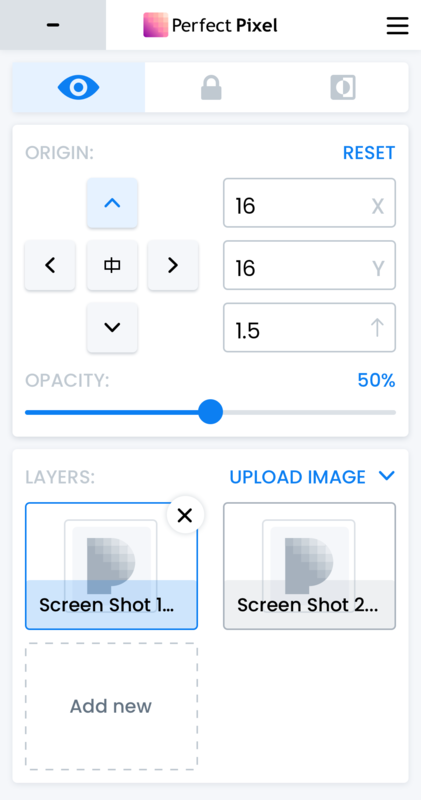 Create as many overlays as you need. No Image size restrictions. Separate for each domain. Saved between browsing sessions. PerfectPixel dialog box will get out of your way when you want. Great for mobile design or when you simply don’t want to see it. Just double click on the PerfectPixel header to enter the collapsed mode. When enabled, interact with elements on the page that are below the active overlay. Allows you to adjust page elements in real time to match the active overlay. Useful for optimizing images for different PPI/Retina screens. Speed is key. Things like having the Mousewheel change the overlay opacity, enable faster development. See full list of shortcuts here. PerfectPixel for Safari, Edge and IE are in development stage now. * We will never send spam to you. We will not sell, distribute, or reveal your email address or other personal information without your consent.